Drs: Allergic Reaction To Pesticide Residue + Are Doctors Bad Drivers? The Doctors kicked off their show with a Doctors Special Report about blueberry pie. A girl in Canada was rushed to the hospital with hives and difficulty breathing after eating a slice of blueberry pie. Her parents assumed it was due to her milk allergy, but discovered there was no milk in the pie. The Doctors tested her for allergies to each of the ingredients, and they all came back negative. So what caused the reaction? 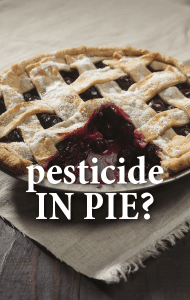 The Doctors shared that the pie actually contained a residue from an antibiotic called Streptomycin. The antibiotic is used in pesticides that are used to treat blueberries. Dr Marc Meth, a board certified allergist and immunologist, explained that he doesn’t think we all have to start worrying, but is something that physicians should be made aware of. He said a reaction to pesticides or antibiotics used in foods is really rare and isn’t something that everyone should worry about. 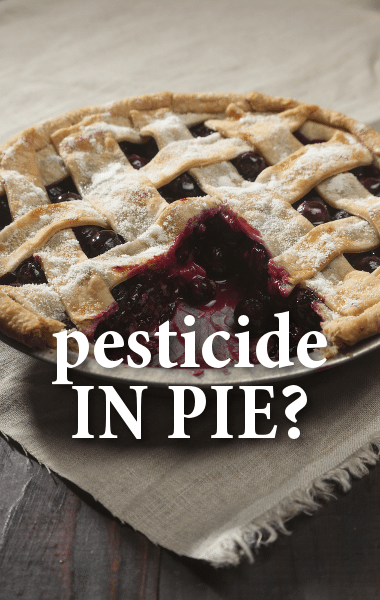 Dr Meth suggested avoiding foods with pesticides whenever possible, and said he believes the U.S. is trying to have lower amounts of it in the food we eat. To mass screen the entire population would be too huge of an undertaking and not exactly feasible. If you thoroughly wash your fruits and vegetables as well as uncooked meats, you certainly lower your risk of consuming the pesticides. There is specialized testing available in order to determine if Streptomycin could be the cause, but it’s not readily available in the U.S.. The Drs: Are Doctors Bad Drivers? The Doctors then revealed that a new survey found that surgeons are more likely to get into car accidents than any other profession. They’re number one on the list of people to steer clear from on the road, and almost 40% of surgeons involved in accidents admitted it was their fault. Dr Drew Ordon said they may be tired and be consumed in their own thoughts and that’s to blame for the accidents. Dr Stork shared that the top ten people on the list of worst drivers were in the medical field except for one, which was a probation officer. Dr Rachael Ross admitted that she has fallen asleep at the wheel before and wrecked into a parked car. Dr Stork said driving while sleep-deprived is driving under the influence. Dr Stork said he’s a very defensive driver because of his experience in the emergency room. He said he started to drink coffee when he left the hospital during residency because he was so tired he was afraid he wouldn’t get home. He said doctors need to take into account their fatigue before getting behind the wheel.